By completing the form now, it will put you next in line to choose your seats (or hold your seats from last year). Are you interested in learning more about the Bruin Club? Thank you for your interest in the Bruin Club! Russell Grimm, the Director of Athletic Fundraising will be contacting you soon. For immediate assistance you can reach him at (615) 460-5668 or russell.grimm@belmont.edu. CLICK HERE to learn more about the Bruin Club or to make a gift on-line. Are you renewing and interested in adding a seat or changing seat locations? Thanks for letting us know you are interested in adding or changing your seats. Someone from our box office will be in contact with you soon. For immediate assistance please call 615-460-BALL (2255). Are you interested in bringing a group to a Belmont Basketball game this season? Do you know anyone that may be interested in bringing a group to a game, purchasing season tickets or a FLEX Pack. 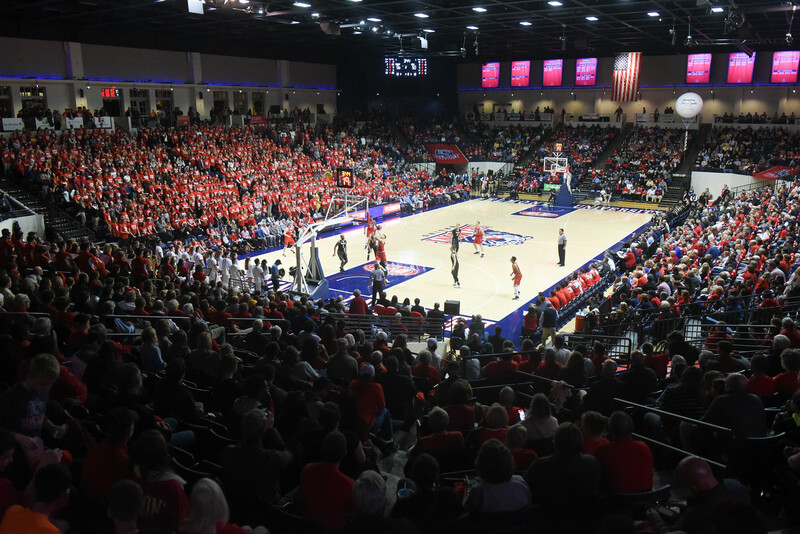 Thanks for your interest in bringing a group out to a Belmont Basketball game! Jade Weber, our Fan Development Assistant will be reaching out to you soon.